Linear ServoStep™, a new paradigm in controlling linear linear actuator stepping motors. Traditionally, rotary stepping motors, as well as linear step motors, were controlled either in open position loop with micro-stepping drives, or with attached external feedback device which was used to monitor for loss of synchronism. Linear ServoStep™ linear actuator employs real time closed position loop controls used with linear servo motors, at a fraction of the cost. 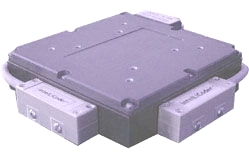 Linear ServoStep™ linear actuator consists of IntelLiDrives linear stepping motors, IntelLiCoder™ feedback and DSP - based I-Drive™ smart amplifier. IntelLiCoder™ references the platen surface providing the feedback for the motor closed loop controls. Position information is derived directly off the platen surface and interpolated to sub-micron digital resolution in custom ASIC. I-Drive™ closes position and velocity loops in real time, providing brushless servo motor operation. 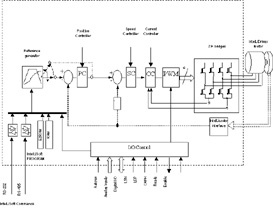 I-Drive™ amplifier interfaces with step motor indexers through pulse/direction interface. 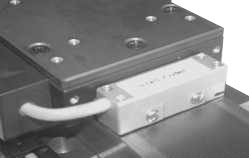 Linear ServoStep™ operates as a linear brushless DC servo motor with improved dynamic performance and precision. Planar forcers, using Linear ServoStep™, can be actively controlled in XY and Theta directions, providing translational and rotational capabilities to the system.